Do you long for brighter, smoother, and more radiant skin? We have the solution! We want you to feel the confidence that comes with clear, radiant skin, but more importantly, we want you to feel like your best self wherever you are. It’s time to stop hiding acne scars, sun damage, and blotchy skin with layers of makeup. You can achieve the complexion you want with Pico Genesis. 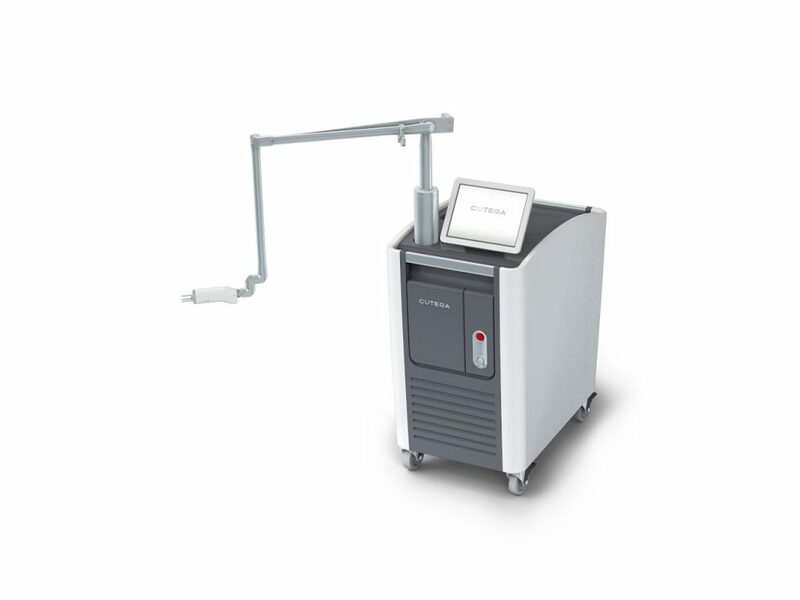 Always at the forefront of technology, Renew MediSpa is thrilled to have been the first in the state to have the Cutera Enlighten Laser and offer Pico Genesis. Free yourself from the need to use concealers, foundations, and powders just to look radiant; with the Pico Genesis, your own real skin has the chance to have that dewy, fresh glow. The Pico Genesis treatment is effective for eliminating irregular pigment, sometimes referred to as “brown spots”, “age spots” or “sun spots” on the hands and face, but it can also be used on other parts of the body. This 2 in 1 laser procedure will return balance, clarity, and radiance to your skin—with no cuts, sutures, or recovery required. With Pico Genesis, you can finally feel comfortable in your own skin. The Cutera Enlighten laser is a powerful device for eliminating unwanted freckles, sun spots, fine lines, and age spots, while also stimulating new collagen production. As a non-ablative treatment, the Pico Genesis treatment can accomplish this skin rejuvenation without wounding or harming the skin, so the treatment is as comfortable and safe as possible. With just a series of simple treatments that take less than 30 minutes to perform, our patients can look forward to brighter, younger, and more evenly toned skin. While other laser and light treatments have been known to make Melasma worse, Pico Genesis has been proven to be an effective treatment for hyperpigmentation and Melasma. Pico Genesis works by firing short bursts of energy that lasts picoseconds (that’s one trillionth of a second!) into the skin. This photomechanical effect essentially shatters unwanted pigment and stimulates collagen production in the skin, while leaving surrounding tissue unharmed. By shattering pigment into smaller fragments, Pico Genesis makes it easier for the skin cells to clear it through a natural healing processes. Effective but not painful, convenient but powerful, the Pico Genesis treatment is truly one of the best kept secrets for healthier, more radiant and clearer skin. Although some patients do see some improvement after the first treatment, it’s generally recommended that initially patients undergo several treatments spread out over time. After the initial treatment series, many of our patients receive regular Pico Genesis treatments to maintain their results. The number of treatments that patients receive will depend on what conditions they want to treat and the severity of their skin conditions. There is no significant recovery period or downtime required after your Pico Genesis treatment. Makeup can be worn right away as needed. Some patients (about 1 in 10) do experience mild itching or tiny bumps in the skin after the treatment, but this is a temporary side effect that should go away within a few days. If individual dark spots were targeted with higher settings, they will turn darker and you may see a slight redness around them. Thereafter, the unwanted pigment will lightly flake off over the course of about 7 days. To help our patients understand just how well their Pico Genesis treatments work, Renew MediSpa is proud to offer the all new 7th Generation VISIA Complexion Analysis System. The VISIA system utilizes cross-polarized and UV lighting to measure the condition of the skin’s surface and lower layers. It also offers UV photography to analyze sun damage, and offers a way to effectively visualize and measure spider veins, hyperpigmentation, rosacea, and acne. With VISIA, we can document the progress of your Pico Genesis treatment by comparing your skin pre-and post treatment. Our VISIA complexion analysis is done at no additional charge for our Pico Genesis clients. Melanin is the name of the pigments in our skin that gives us our skin tone. Brown patches and other problems with pigmentation are usually a result of a problem with melanin production. For example, sun spots are the result of UV exposure causing our pigment-making cells (melanocytes) to create too much pigment- this is actually a defense mechanism against the offending UV radiation! It is meant to protect the skin, but the result is often unwanted pigment deposition that can be very tough to get rid of. Melanin can also be produced as an unwanted side effect from inflammation, such as acne. We call these brown spots “post-inflammatory hyperpigmentation” or PIH for short. This too is unwanted melanin deposition in the skin. Melasma, also called ‘chloasma’, is a common skin condition of adults in which light to dark brown or greyish pigmentation develops mainly on the face. The name comes from melas, the Greek word for black. Although it can affect both genders and any race, it is more common in women and people with darker skin-types who live in sunny climates. Melasma usually becomes more noticeable in the summer and improves during the winter months. It is not an infection, it is not contagious and it is not due to an allergy. Also, it is not cancerous and will not change into skin cancer. The exact cause is not known, but several factors contribute. These include pregnancy, hormonal drugs such as the contraceptive pill, and very occasionally medical conditions affecting hormone levels. Some cosmetics, especially those containing perfume, can bring on melasma. There is research to suggest that it can be triggered by stress. Sunshine and the use of sunbeds usually worsen any tendency to melasma. Melasma can run in families, suggesting an inherited tendency. Since Melasma is worsened by UV radiation and even by heat, some light or heat based treatments can actually make it worse. 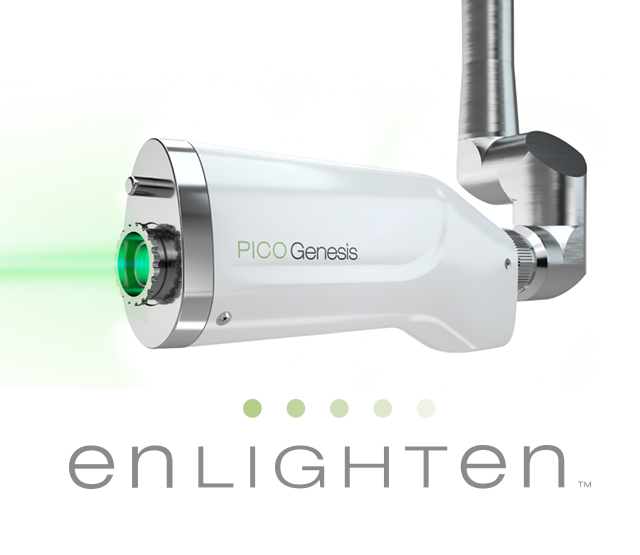 Fortunately, Pico Genesis’s unique photomechanical mechanism allows it to treat Melasma effectively and safely. Does Pico Genesis work on wrinkles and fine lines? Pico Genesis offers a powerful treatment against fine lines and wrinkles; it stimulates the production of collagen, one of the proteins in our skin that’s responsible for keeping the skin firm and elastic. By stimulating collagen production, Pico Genesis starts a process of tightening and firming that results in our skin looking younger and more refreshed. Many patients see results after two treatments, but it will all depend on how well your skin responds to the treatment and what conditions you want to treat. For more difficult conditions like Melasma or acne scarring, more treatments than average are required. If you’re interested in learning more about PicoGenesis, call us today to schedule your appointment.